Moringa Oleifera is the scientific name for the popular drumstick tree. Grown in almost all tropical and sub-tropical regions, this fast-growing, drought-resistant tree is native to southern foothills of the Himalayas in northwestern India. All parts of this tree is useful either as nutritional or medicinal purpose. Moringa leaf is best known as an excellent source of nutrition and natural energy booster. This energy boost is not based on sugar and so it is sustained. 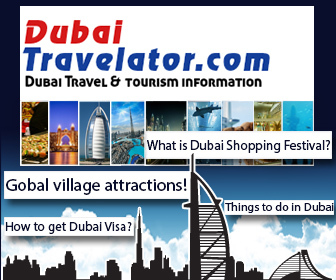 If you have a drumstick tree growing in your garden, it is said you have a doctor at home! A drumstick tree is beneficial in so many ways when it comes to your health. The health benefits of drumstick leaves will help you get rid of many medical problems. Drumstick leaves are specially considered to have all the vitamins and proteins needed by us. Drumstick leaves are also rich in Copper, Manganese, zinc, Selenium, Magnesium, Folates, Vitamin-B6 (pyridoxine), Thiamin (vitamin B-1), Riboflavin, Pantothenic Acid and Niacin. It contains 0% Cholesterol. Vitamin A deficiency is a major cause of blindness, which ranges from impaired dark adaptation to night blindness. Consumption of Moringa leaves which contain high proportion of vitamin A can help to prevent Night Blindness and eye problems in children. Moringa leaves curried using pepper powder, salt and turmeric powder are given to new moms. It helps in boosting the breast milk supply. That’s why it is considered to be one of the super foods to increase lactation in new mothers. 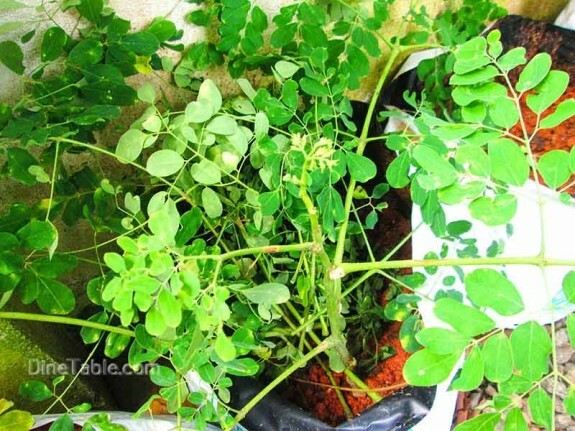 Taking Moringa leaves regularly as a part of diet reduces chances of Cancer to 80%. It is also recommended as a diet of Cancer patients for healthy and quick healing. Moringa is a storehouse of all the nutrients required for healthy hair. Moringa Oleifera has a high content of vitamin A, thus promoting hair growth and maintenance. Vitamin A plays an important role in the development of healthy cells and tissues in the body and reduction of hair loss. Moringa has moisturizing and nourishing properties and an excellent cleansing ability which makes it an active ingredient in skin care products. Moringa has excellent cleansing ability which aids in cleaning the skin cells of free radicals and restoring the vitality and youthfull complexion of the skin. 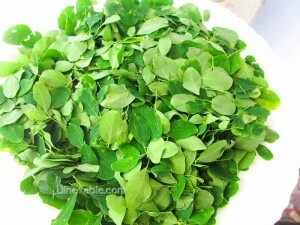 Drumstick leaves are very useful in treating Wheezing, Asthma, Bronchitis and Tuberculosis. A soup prepared by boiling a handful of leaves in 3/4 cup water for 5 minutes and cooled is served to those with respiratory problems. A little salt, pepper and lime juice can be added to this soup. Moringa is rich in Calcium which is very good to improve bone density. To improve bone health of kids, about 1 teaspoon of leaf juice should be mixed with milk and given twice daily. 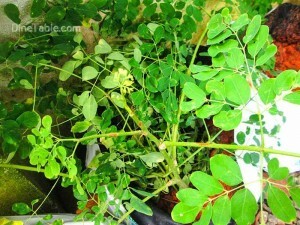 According to analysis, the powdered leaves of the moringa tree contains 46 types of antioxidants. Antioxidants help to neutralize the devastating impact of free radicals, thereby guarding us from Cancer and Degenerative Diseases. The power of reducing the sugar level in the blood is possessed by drumstick leaves. Sugar patients are recommended to take drumstick leaves at least thrice a week to make the level of sugar normal in the blood. Drumstick-leaf juice is also very beneficial for pregnant women as it can help them overcome sluggishness of the uterus, ease delivery and reduce post-delivery complications. Drumstick leaves rubbed against the temple can relieve Headache. To stop bleeding from a shallow cut, apply a poultice of fresh leaves. There is an anti-bacterial and anti-inflammatory effect when applied to wounds or insect bites. Drumstick leaf tea treats Gastric Ulcers and Diarrhoea. Drumstick leaves treat Fever, Eye and Ear Infections, Inflammation of the mucus membrane etc. Soup prepared from drumstick leaves is helpful in treating Menstrual Cramps. Drumstick leaf juice with lemon juice can be mixed and applied over face to overcome Black Heads and Acne. 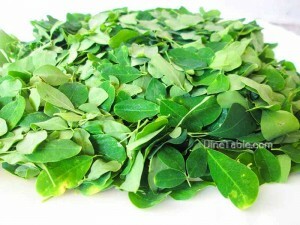 Cooked moringa leaves if taken daily for 3 weeks removes or flushes out all the toxins from the body. It also improves immunity.